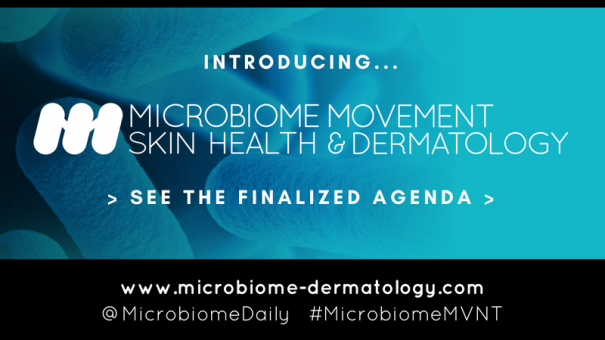 As a new industry emerges, The Microbiome Movement have been speaking with the dermatology & cosmetic community to understand the critical scientific and commercial challenges in translating cutting-edge skin microbiome R&D into scientifically-validated and commercially viable skin products. Our conversations have highlighted that although the commercial opportunity exists, there are key areas of basic science that need addressing including sample collection and analysis, study design and selecting the right tools to make actionable outcomes. Over 20+ speakers from the forefront of translational skin microbiome research: Gain insight into the most cutting edge research from academia, emerging start-ups and established cosmetic brands to give you an accurate update on the work in this space. Discover & identify novel therapeutic candidates across various modalities: As LBPs dominate many companies portfolios, learn other modalities that will modulate the microbiome to help treat disease and promote skin health. Interactive sessions: With a nascent industry seeking answers, take part across many of our panel presentations and roundtable discussion to forge the future of skin care through the microbiome.